The most popular professional philosophy blog, Daily Nous, has just started a discussion on the ethics of honoring historical figures in light of recent campus protests. The recent wave of student protests in the United States have focused on a range of issues related to the status and treatment of racial minorities and other vulnerable parties on campus. 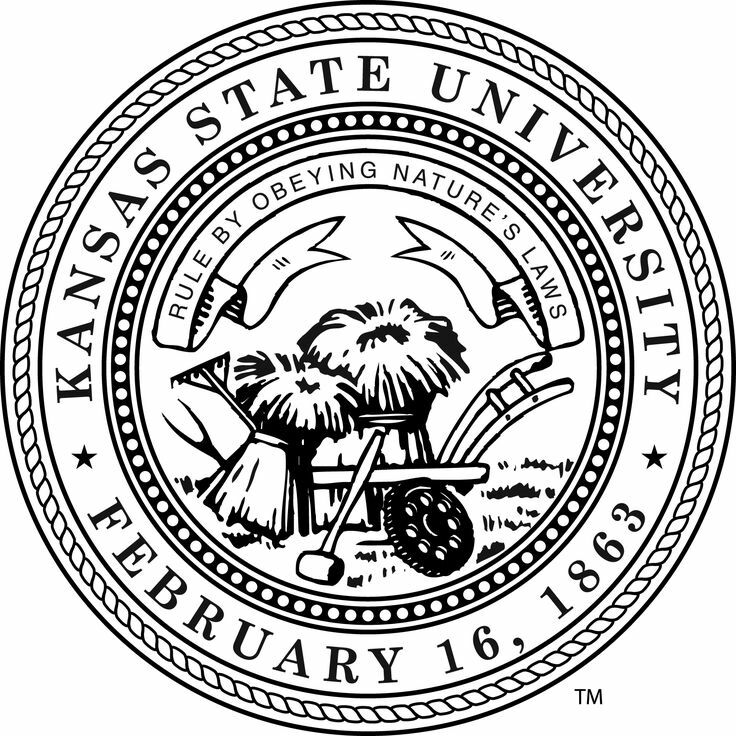 One issue that has come up on several occasions are the ways in which universities have decided to honor various historical figures—for example, by naming buildings after them, or having statues of them. These developments may have some people wondering what the appropriate stance is towards honoring historical figures who have held what are today understood to be highly objectionable views, or acted in highly objectionable ways. To shrug off the concerns and say “no one’s perfect,” seems insufficiently sensitive to the ways in which such honors might contribute to an unwelcoming environment for some students. Yet to require historical figures to be morally unobjectionable by today’s standards in order to be honored seems unduly strict and inflexible. We might recall that even moral heroes are not morally perfect (see, for example, Lawrence Blum’s “Moral Exemplars” essay). I am not aware of work on the ethics of honoring historical figures. Perhaps this is an area in which philosophical expertise can help clarify an issue of current pressing concern. Thoughts welcome. 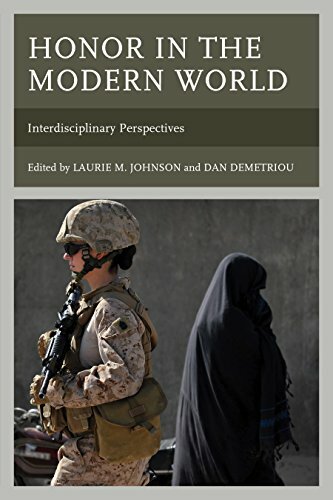 I’m very pleased to announce that honorethics.org contributor Peter Olsthoorn’s (Netherlands Defense Academy) Honor in Political and Moral Philosophy (SUNY) will be coming out soon. You can pre-order it here. You can peruse the Google Books preview here. Here’s the (U.S.) Amazon link. You can find more of Peter’s work here. I read and commented on a draft of this book a couple years ago before I visited Peter in Rotterdam and Breda, and I can assure readers it’s a major contribution to the field that anyone interested in honor needs to add to his or her library. Peter’s careful and scholarly discussion of the intellectual history of honor is especially valuable for us, since books on honor (if they discuss history at all) tend either to focus on one epoch (say, the antebellum South), region (say, the Mediterranean), or author (say, Hobbes). 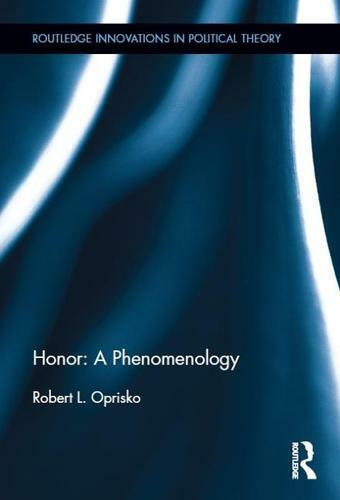 Sometimes honor books provide us with useful snapshots of honor-psychology through the ages by discussing samurai for one chapter, medieval chivalry in another, etc. 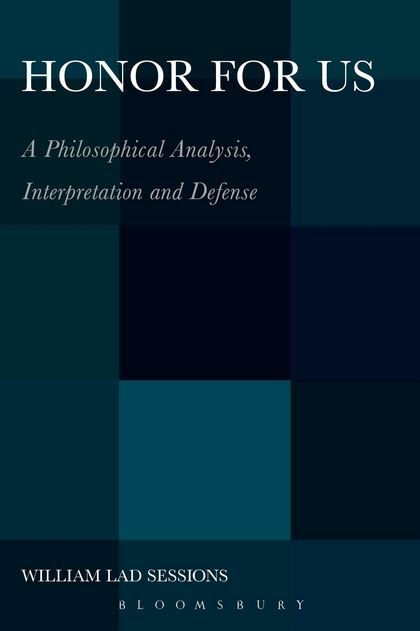 As an analytic philosopher who isn’t very strong on history, I have relied upon and cited all such books a great deal in my own work. But more rarely attempted has been a sustained story of how leading intellectuals have analysed honor in the West. 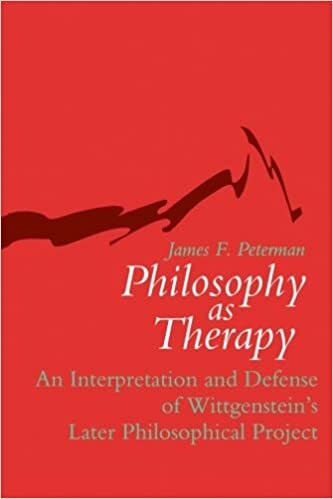 The scholarly aspects of Peter’s book will be the go-to resource on that question for some time. Until not too long ago it was not uncommon for moral and political philosophers to hold the view that people cannot be expected to do what is right without at least some reward in the form of reputational gain. Authors from Cicero to John Stuart Mill did not dispute that we can be brought to accept the principles of justice on an abstract level, but thought that in concrete instances our strong passions, our partiality to ourselves, and our inability to be a good judge of our conduct, prevent us from both seeing and acting on what is just and virtuous. In their view, our sense of honor and concern for our reputation can help us in finding out what is the proper thing to do and, just as important, provide us with the much-needed motive to actually do what is right. Especially in this latter, motivational, aspect conscience appeared somewhat impotent to them. Today, most of us tend to take a stricter view, and think that people are to be just from a love for justice, not from a fear of losing face. Considerations of honor and reputation are generally considered to be on the wrong side of the line. That diminished position of honor is at least partly a result of the fact that, as a motive, honor is somewhat inconsistent with the ideals of autonomy and authenticity, valued by most people in our day. Modern political and moral philosophy mirrors (and, to some extent, feeds) these ideals, and many authors are not too upset that the honor ethic gave way to more demanding forms of ethics that give central place to that notion of autonomy. 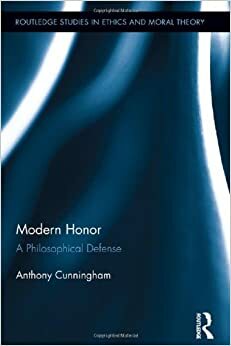 The aim of this book is to make the case that the old arguments for a role for honor are still compelling, and that also today, without deep roots in our present-day vocabulary, honor can yet be of use because it is less demanding, and that the articulated opinions of others remain important for making us see, and then actually do, what is right. The underlying assumption is that honor, although it has lost much of its appeal, is still a common motivator. If there is some truth in this, it is all the more regrettable that most modern theorists have turned a blind eye on the topic. 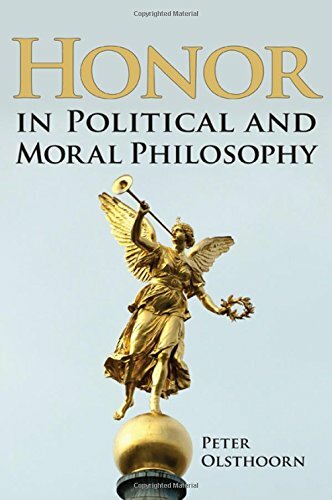 To make that case the first part of the book describes the early, aristocratic argument for honor made by, among others, Cicero and Sallust, and the conversion of honor into a more modern, democratic form by later thinkers, from John Locke and Bernard Mandeville to Michael Walzer. Even in that more democratic form honor still comes with some serious drawbacks, mainly lying in it being something external (which potentially reduces morality to not being caught), and in its exclusiveness (limiting the number of people that matter to someone). To address the first shortcoming, honor should be internalized, at least to some extent; otherwise honor is, indeed, reduced to not being found out. As to that second weakness: to avoid that too much priority is given to the interests of those who are near and dear to us, it seems that we should define our honor group as broad as possible. 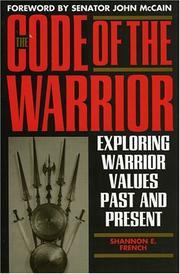 Finding out if these two goals can be accomplished is the aim of the second part of the book, which focuses on three virtues related to honor: loyalty, integrity, and respect. Congratulations on the book, Peter! A little writeup my university did of Ajume Wingo‘s and my collaborative grant and the manuscript we’re working on. Please alert this page to honor-related announcements you have relating to your work—we’d all like to know about it. On behalf of honorethics.org, I’m pleased to welcome Craig Bruce Smith as a contributor. 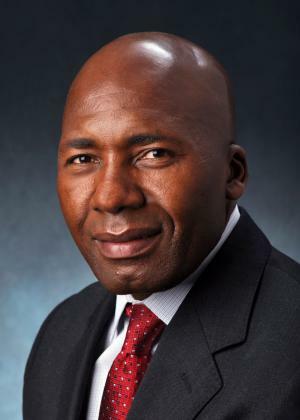 Dr. Smith is an instructor at Brandeis University and an adjunct professor at Emmanuel College. He recently earned his PhD in American history from Brandeis University. He specializes in early American history with a focus on honor, virtue, and ethics. He is currently submitting his book manuscript, “Rightly to Be Great: Honor, Virtue, and Ethics among America’s Founders,” for publication. This project examines changes in honor and virtue from the coming of the American Revolution through the early republic. It traces the development of honor and virtue in the lives of people such as Washington, Franklin, Adams, Jefferson, and other individuals from the elite, middling and lower classes—featuring those who had previously been excluded, such as women and African Americans. This project illustrates that honor was regarded as an ethical ideal. His next book project, “Redemption: The American Revolution, Ethics, and Abolitionism in Britain and the United States,” examines British and American abolitionism as a matter of national honor. For the British, anti-slavery policy was a means to prove themselves the Americans’ ethical betters on the world stage. In turn, this new British offensive made Americans react similarly by supporting abolitionism to maintain national honor and virtue. Dr. Smith has also been published in the Massachusetts Historical Review, the Journal of Military History, the Digital Encyclopedia of George Washington, the Encyclopedia of War, and the Westchester Historian. In addition, he has presented talks on honor for a variety of institutions, including the American Historical Association, the Organization of American Historians, and Washington and Lee University. Welcome, Craig! We look forward to your contributions.